Spain has to be one of the best loved holiday destinations for Brits. Many Brits return to Spain year after year particularly for summer sun holidays where many Brits head out for some much needed warmth and sunshine, which are not always guaranteed in Britain. Spain is an established European holiday destination. Many parts of Spain are geared up for British tourists and it is not unusual to find bars, restaurants and cafes in Spain with English menus. This can be reassuring for many Brits on holiday. Staying in a self catering villa or apartment can be an attractive option if you want to have the freedom of being able to cook in as well as eat out and want the flexibility that self catering accommodation often offers. The Spanish cities of Madrid and Barcelona are popular destinations for city breaks and self catering accommodation in these cities tends to take the form of apartments. 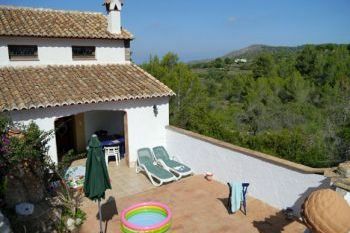 Outside the cities you are much more likely to find villa accommodation, some of which have pools. For summer beach holidays many choose the Spanish islands of Ibiza, Mallorca, Menorca and the Canary Islands. Each of these islands has its own taste of Spain to offer. There are also many areas within mainland Spain to explore including Galacia, Catalunia, Valencia and Andalucia. Whether you decide to visit the Costa Brava or Costa del Sol we trust that you will enjoy browsing through the self catering villas and apartments on Country Cottages Online.